Community Outreach - James G. Dibbini & Associates, P.C. James G. Dibbini & Associates, P.C. is participating in the 2017 Pitch in for Parks at Tibbetts Park on Sunday April 23, 2017. All are welcome to attend to help clean up Westchester's Parks for the upcoming season. James G. Dibbini & Associates, P.C. 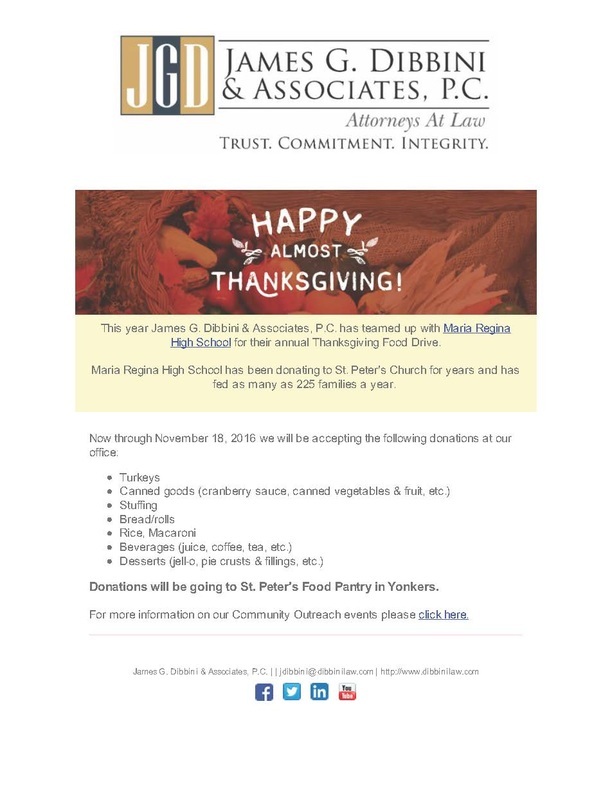 has teamed up with Maria Regina High School for their Thanksgiving Food Drive. 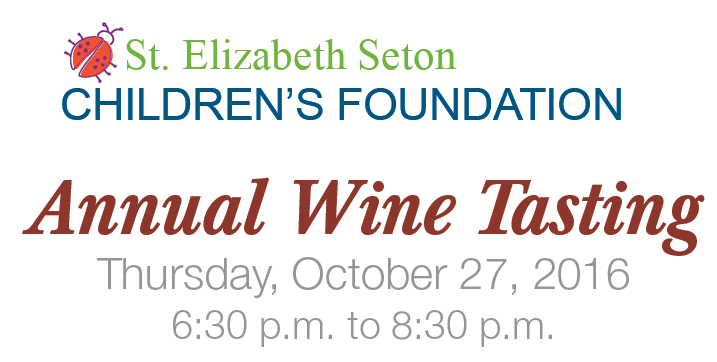 All donations will benefit St. Peter's Food Pantry in Yonkers, New York. Stop by our office now through November 18, 2016 to donate! James G. Dibbini is on the board for the John A. Coleman School which offers early childhood and special education services in center-based and community settings to children in many communities in New York. We are participating with the Yonkers Chamber of Commerce in the 2016 “Stuff A Bus” Pajama and Book Drive. This program provides new pajamas and books to children in need. Our goal is to be able to “stuff a bus” by November 11, 2016. Stop by our office to drop off new pajamas and books to benefit a great cause! On Thursday, July 14, 2015 James G. Dibbini & Associates, P.C. 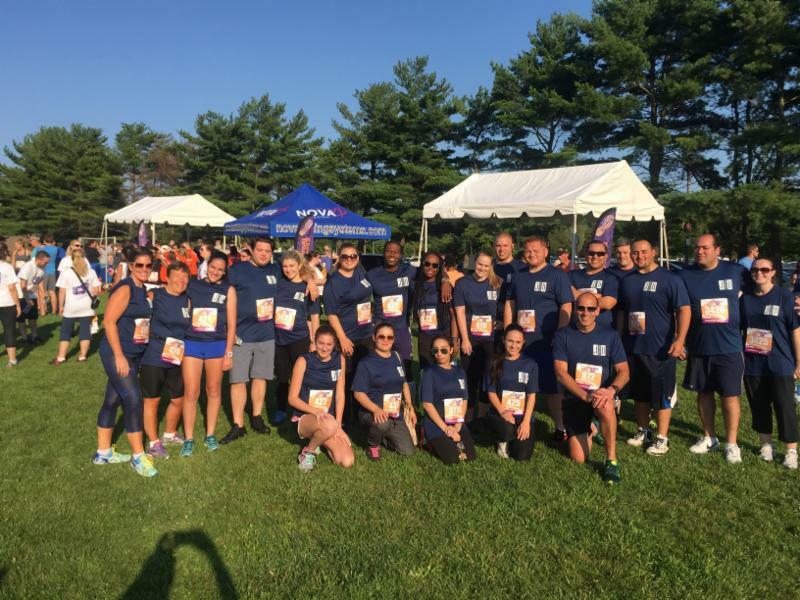 's 12 member team participated in the Corporate Fun Run Westchester 5K at SUNY Purchase to benefit the Blythdale Children’s Hospital. Race participants raised over $30,000.00! The firm and our friends and family had a great time at the event and was so happy to have raised a wonderful donation for the hospital. Thank you to all of our friends and family for their generous donations!